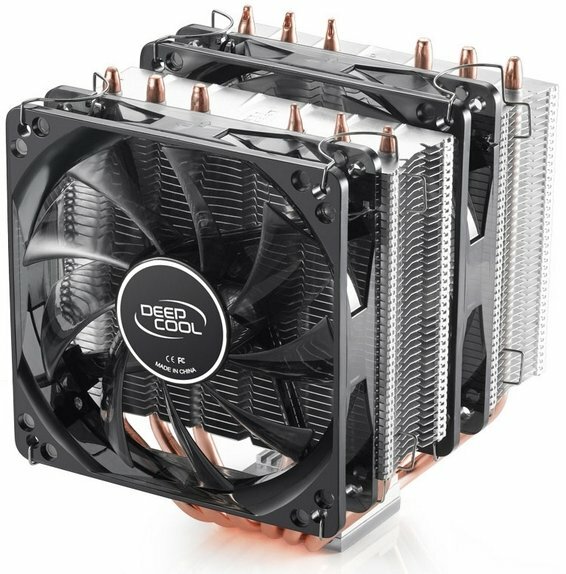 Deepcool will soon release the Aeolus Big Frost, a new HSF that looks like a simplified version of the company's Assassin cooler. 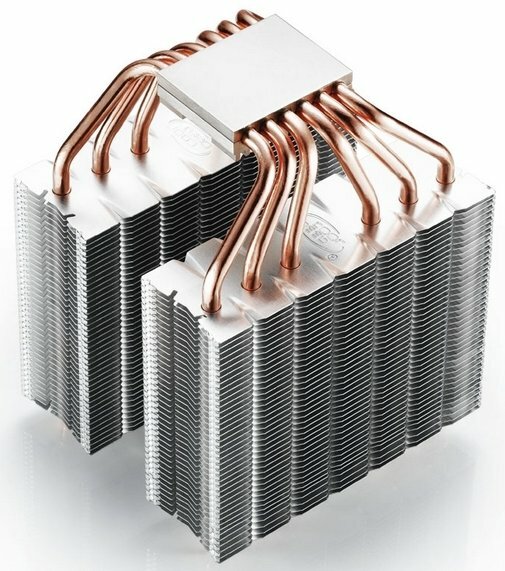 The heatsink features two aluminium fin arrays, six 6mm thick copper heatpipes, a copper base and two 120mm fans in push-pull configuration. The heatsink measures 126 x 136 x 159 mm, weighing 1,109 g (including fans). The fan pushing "fresh" air through the first fin stack is configured to spin at speeds of up to 1,300 RPM, with noise levels as high as 22.6 dBA, while the fan pulling air and conveying it to the second fin stack spins at speeds ranging in 900-1,500 RPM, with 21.4 to 32.1 dBA noise levels. The Big Frost supports a full range of CPU socket types available in the market today, including Intel LGA2011, LGA1155/LGA1156, LGA1366, LGA775, AMD AM3+/AM3/AM2+/AM2, and FM2/FM1. In China, the cooler is expected to sell for 200 RMB (US $32).